Are you an artist who wants to have a blog? Or maybe an artist who wants to work on improving your blog? Here you will find links to advice and information relevant to blogging for artists and blogging by artists. This site is in transition from another site to this site - and it's a big page! 10 top tips for art blogs - this is my top ten list of things you can do to improve your art blog using Blogger. A list of the top blogs in the Art category based on 20+ different factors including RSS membership, Number of incoming links, social media, monthly visits. A number of the views below were written some years ago when having an art blog was a big deal. However. if you're NEW TO BLOGGING your art, it'll still feel like a big deal to you and most of what is written will still be very relevant to you. What follows is the second part of my note on blogging for the article in the Notice Me! supplement for student artists in Artists & Illustrators (A&I) in September 2010. What's the point in producing an art blog like mine which focuses more on art in general rather than my own art? Well because sometimes you get letters like the one below. Are you an artist? Do you have an art blog yet? If not, you should. Here's a list of nine reasons why every artist should have their own art blog. And if you think blogging is still diaries and journals, well, a lot's changed over the past few years. There are lots of things I could share about blogging but I will narrow it down to three things. Consistency, Content and Clarity. Linda Blondheim Art Notes: Is Blogging Good For Artists? Yesterday I got an email from an artist asking me if I feel that blogging is good for my career? The blog is probably the best thing I've ever done for myself. Choosing which blogging platform to use is a big decision because moving a blog at a later date can be a bit of a pain! 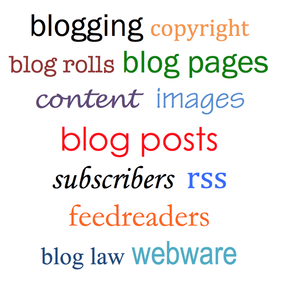 Find out about the different webware platforms for blogging. They each have different features and different approaches to blogging - but they also have a lot in common. I've used Blogger from the very beginning and started Making A Mark on Blogger in 2006 and have stuck with it - and have never found a good reason to move. It now has over 3,000 posts, over 4 million visitors and over 11 million pageviews. not seen as the "smart move"
WordPress - About - WordPress started in 2003; now the largest self-hosted blogging tool in the world, used on millions of sites and seen by tens of millions of people every day. TypePad - Wikipedia, the free encyclopedia - TypePad is a blogging service from company Six Apart Ltd, and the largest paid blogging service in the world. Which blogging platform should you choose? | News | TechRadar UK - Which blogging platform should you choose? Opt for friendly and free or pay for greater control? Squarespace is a stylish, streamlined way to build and manage a website, create a blog, and publish just about anything else on the web. LiveJournal is an online community, a social network, and a place for self-expression. Weblog software - Wikipedia, the free encyclopedia - Weblog software (also called blog software or blogware) is a category of software which consists of a specialized form of Content Management Systems specifically designed for creating and maintaining weblogs. Blogs are a big target for spammers - so you need a system which enables you to control spam. On Internet websites which invite users to post comments, a moderation system is the method the webmaster chooses to sort contributions which are irrelevant, obscene, illegal, or insulting with regards to useful or informative contributions. They vary in terms of which blogging platforms and browsers they support. much of what a third party systems are about relate to getting a site noticed. They can be less good on identifying exactly how they control spam - check out the Disqus site for example! the comments system you might see running on big corporate sites is very unlikely to be the free on which is available to the general public. The Pro version of Disqus for example costs $99 per month. third party comments systems often integrated better with other social media platforms but not all integrate well with mobile blogging systems. If you have a lot of people who comment via their cellphones or iPads etc this may be important to you. You agree it's a good idea and you've now got a blog - but you aren't getting as many visitors as you would like. Making a Mark: Unique vs. repeat visitors - and the impact on sales - How many repeat visitors do you get? Is the number increasing over time? Do they bring you repeat business if you use your blog to help you market your art? This post looks at site tourists versus repeat visitors and their impact on sales. Plus an article I wrote for The Good Web Guide - which likes to characterise itself as "the 'thinking man's google'." How To Write Great Blog Content - The Pillar Article Â» Entrepreneurs-Journey.com - by Yaro Starak - A pillar article is usually a tutorial style article aimed to teach your audience something. How to Be a Successful Art Blogger: 7 Effective Blogging Strategies for Artists - As a blogger for over two years now, I know firsthand that creating a successful art blog has a lot more to do with planning and hard work than with being a great writer. How to write an art blog - How To - Artists & Illustrators - A blog is a great way to engage with a wider audience. It can get both you and your work noticed if executed effectively so here are some pointers on how to create a successful blog. Blogging - an update on rights, liabilities and spam attacks Every so often I have a good look round at what's being posted about blogging and using the internet and in particular anything of that ilk which relates to art and being an artist. Comment Spam - how to recognise it and what to do with it - Comment spam is when people leave text or links in comment which are completely unrelated to the topic in question. Google fails to stop theft and abuse by spam blogs - Google's search engine lists spam blogs which steal copyright material from legitimate blogs and then generate income by hosting Google Ad-Sense adverts. 5 Content Theft Myths and Why They Are False : The Blog Herald - When it comes to content theft, there is a great deal of confusion. Protecting Your Content From the Spinning Spammers about the trend in site scraping. What Do You Do When Someone Steals Your Content - Lorelle on WordPress Having been the target of copyright thieves, and working with writers, authors, and photographers on copyright protection and laws for over 25 years, I thought I'd talk a little about what to do when someone steals your content. Allwhois - a free service provided by MarkMonitor, is the most complete whois service on the Internet.